Techno Claus Comes To Town. Wait — He Already Lives Here! One of the highlights of the holiday season — far better than fruitcake, much less stressful than holiday parties — is Techno Claus. That’s “CBS Sunday Morning”‘s annual present to viewers. “Santa” — who for some reason has a New York-ish accent — offers viewers a whimsically rhyming musical look into some of the season’s more intriguing high-ish tech items. It doesn’t take Einstein to figure out that Techno Claus is really David Pogue. His clever patter and fun piano playing are no surprise. The nationally known tech writer/journalist/author/TV star majored in music at Yale, then spent his first 10 years after graduation working in New York, with a theatrical agency, and as a conductor and arranger on Broadway. Pogue is also a longtime Westporter. Yesterday’s gift to viewers had a decidedly local flavor. Nearly all of the scenes were filmed at his house: inside, in front and out back. The only other locale was Granola Bar. That was for a segment on a reusable straw. Okay, it’s not exactly high tech — but it is important. Click below to see Pogue’s Santa’s take on a speaker with scents; a spy camera for pets (it dispenses treats too); a keyboard for phones, and a wallet with tracker. 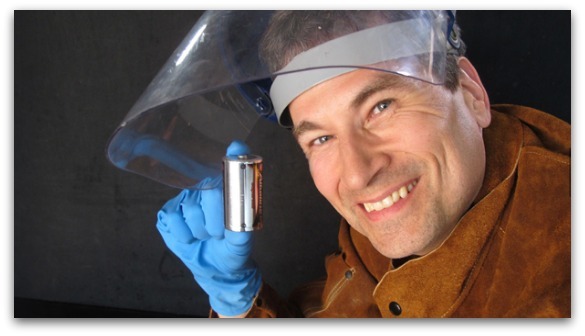 The other day, David Pogue — the tech writer (Yahoo, New York Times, Scientific American), TV correspondent (“CBS News Sunday Morning,” PBS “Nova Science Now”) and author (“Missing Manual” series, “Pogue’s Basics”) — reported a Tesla story. These days, we’re seeing a lot of Teslas on Westport streets. And no wonder: These electric cars are gorgeous, fast, and unbelievably smart. They’re far better for the environment than internal-combustion cars. You never need gas. There’s no engine and no transmission, so there are no oil changes, tuneups, or emissions checks. You get a total of $10,500 from the state and federal government, in cash and tax credits, to help you buy one. And in Westport, there are free charging stations all over town — in the sweetest electric-car-only parking spots. But every time you see a Tesla in Westport, remember that its owner drove to Mount Kisco, New York to get it. That’s right: You’re not allowed to buy a Tesla in Connecticut. 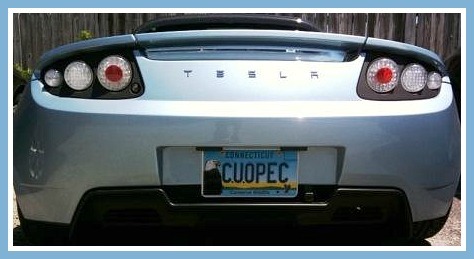 Robin Tauck’s Tesla license plate sends a message. Connecticut and 15 other states have an ancient law on the books. It bans a car maker from selling directly to the public, as Tesla stores do. The law was designed 80 years ago to protect local franchises — the traditional car-dealership model — from having to compete with stores opened by the car makers themselves. Local Ford dealerships, for example, didn’t want Ford to open its own store across the street and run them out of business. A number of states have recognized the anachronism and overturned the ban—but not Connecticut. Every time the ban comes up for a vote in our state legislature, our legislators continue keeping Tesla out of the state. He says that there’s a simple reason why car dealers want to keep Tesla out: because electric cars threaten their profits. Car dealerships make most of their money on service (3 times as much profit as they get from selling cars, according to the National Automobile Dealers Association). And as noted above, electric cars require almost no service. 20 Saugatuck Avenue was considered recently as a site for a Tesla service center. So what’s the result? Connecticut loses jobs, sales, and property tax to surrounding states. This protectionism will make it difficult to reach Connecticut’s environmental goals (to lower emissions to 45 percent of 2001 levels by 2030). “This is the unfortunate thing about CT politics: So much energy goes into creating these monopolies and protecting and limiting trade, as opposed to innovating and creating a more efficient economy,” says Becker. I did a deep dive on this topic in my Yahoo Finance column this week. I interviewed not only Bruce Becker and Toni Boucher, but also Westport’s state representative Jonathan Steinberg; Tesla’s head counsel Todd Maron, and car-dealership lobbyist Jim Fleming, president of the CT Auto Retailers’ Association. It’s a surprisingly fraught, sensitive, contentious issue, filled with back-room deals and arguments on both sides about what’s best for the consumer. Meanwhile, next time you see a Tesla driving by, nod in acknowledgment to the trip its owner took to Mount Kisco. 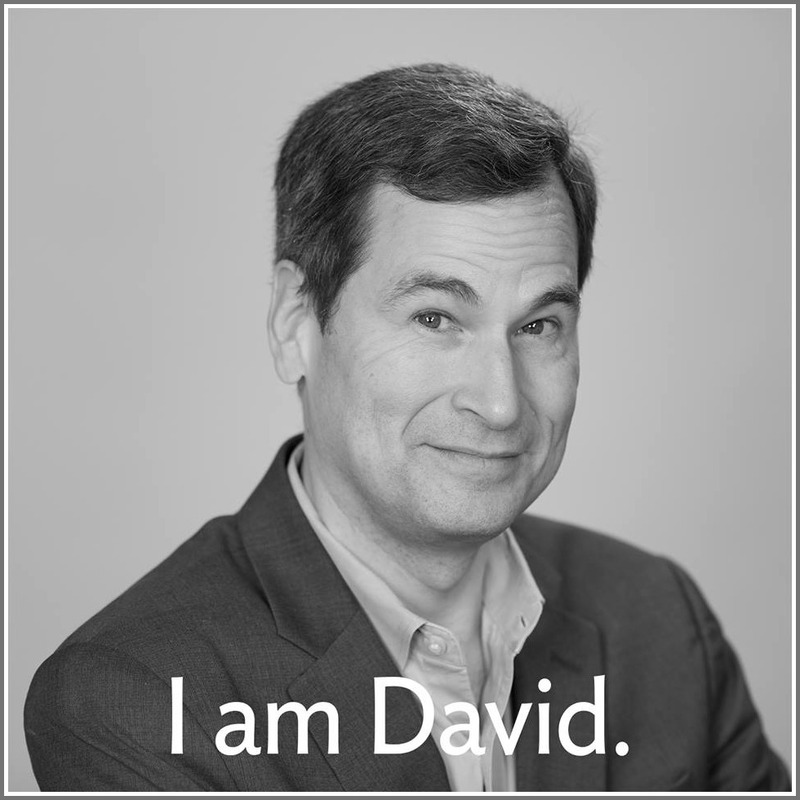 Before he became a famous New York Times/CBS/Yahoo/PBS technology expert, David Pogue was a musical theater geek. 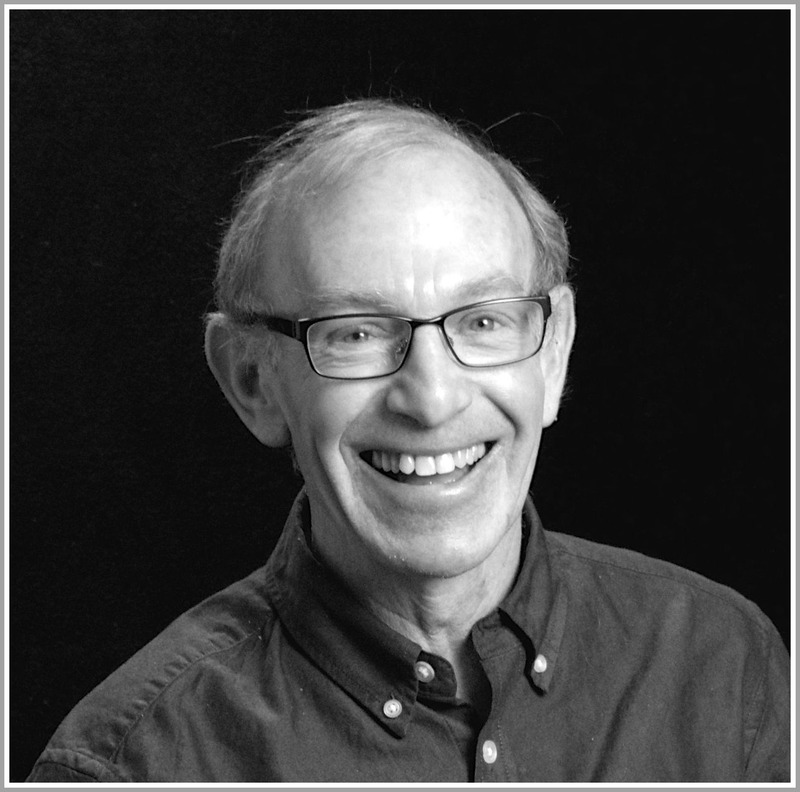 Fun facts: His Yale degree is in music, and he spent his early year conducting and arranging Broadway musicals. So it didn’t take Einstein to enlist Pogue — a Westport resident — as moderator of this Sunday’s TEA (Thinkers, Educators, Artists) Talk (October 21, 2 p.m., Town Hall). Nor was it a quantum leap to design a theme (“The Arts Go Viral!”) or find speakers like Jerry Goehring, (producer of the off-Broadway musical “Be More Chill,” which became a hit on viral media), and pianist/arts educator/ Westporter Frederic Chiu to dive into the pros and cons of how technology affects art (and vice versa). But it is a stroke of genius that Sunday marks the official launch of Otocast. It’s a mobile tour app that lets any Westporter or visitor explore our town’s long arts, cultural and historic sites. 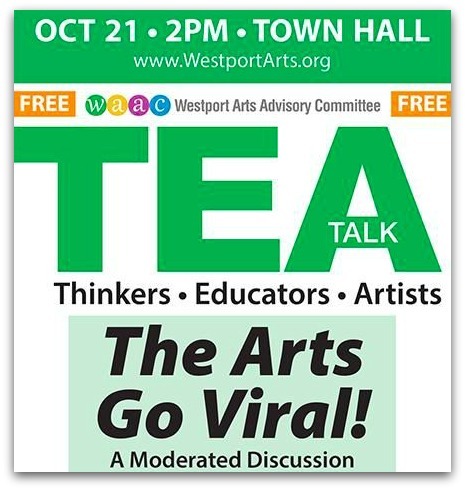 Like Sunday’s TEA Talk, Otocast is a project of the Westport Arts Advisory Committee. First unveiled in a soft launch at this summer’s Arts Festival, it’s now ready for prime time. Otocast — available free for iPhones or Androids — includes audio, photos and info on a wide range of interesting sites. Location-based, it shows users whatever is closest to where they are. Three separate “guides” are already live. “Downtown Westport” offers details on Town Hall, Veterans Green, the Tunnel Vision arts installation, Westport Historical Society, Main Street, Saugatuck River, Jesup Green, the library, Levitt Pavilion, Westport Woman’s Club, Westport Country Playhouse and more. “Our Creative Community” provides information on theater, film, non-profit organizations, schools and many other groups. 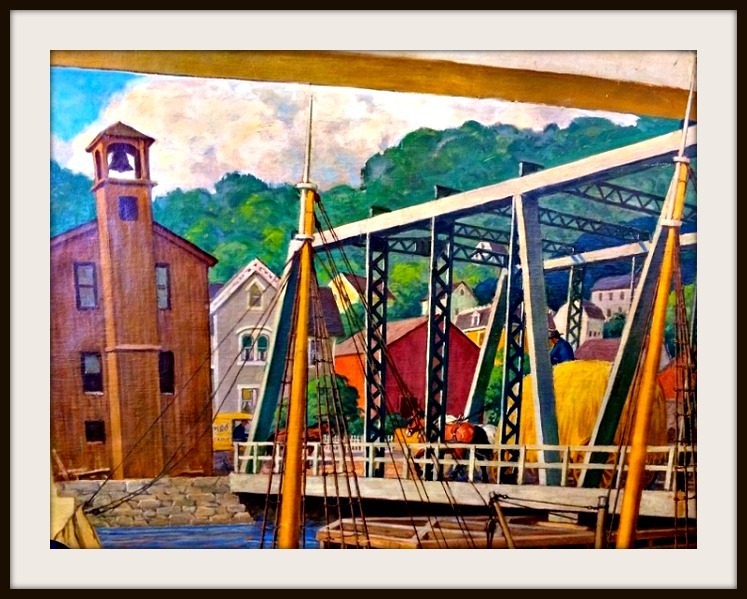 “From Saugatuck to Riverside” covers Westport’s original center, all the way to the Ruth Steinkraus Cohen Bridge. Westport artist Robert Lambdin’s “Saugatuck in the 19th Century” is the kind of artwork that can be seen — and heard about — on Otocast. The app blends audio commentary (from well-known voices like 1st Selectman Jim Marpe, natives like Sam Gault and others) with maps, photos and artwork. It draws extensively on Westport Public Art Collections. Users learn, for example, of Howard Munce’s Remarkable Book Shop painting, and one of the old Westlake restaurant. They hear about — and see — art at Town Hall, Fire Department headquarters, the Parks & Recreation office, and of course Westport schools. They learn about the history of the Doughboy statue on Veterans Green, and the nearby Honor Roll — a painting of which hangs in 1st Selectman Jim Marpe’s office. 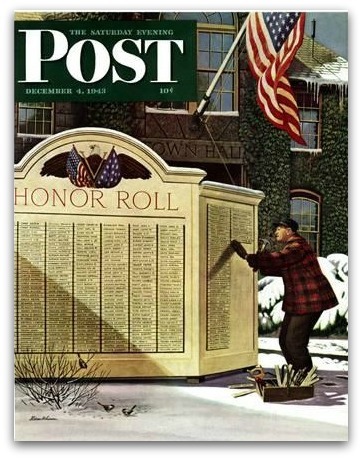 Stevan Dohanos’ “Honor Roll” painting has a place of honor in Town Hall. Now it’s on Otocast too. They also watch a video of Sally’s Place — the beloved record shop — and see changing views of Main Street. They listen to Charles Reid talk about Famous Artists School. Two more Otocast guides are in the works: one on Westport’s Natural Beauty (Compo Beach, mini-parks, Earthplace, the Saugatuck River, with compelling artwork from the 1930s through now), and one focused exclusively on the WESTPac collection. Otocast is the perfect app for residents and visitors to tour Westport. Of course, you can also download it and enjoy it in the comfort of your home. It’s great too for former Westporters, relatives who live elsewhere, and anyone anywhere in the world who wants to visit us virtually. In other words, Otocast is a superb mix of art and technology. Just like Sunday’s TEA Talk. With all the scams around — I posted a story yesterday about one Westporter’s experience, and another a few weeks ago — it would be great if someone could write a guide to the most common ones. And not just “someone” — but Westport’s own David Pogue. His piece was published by Yahoo in 2015. 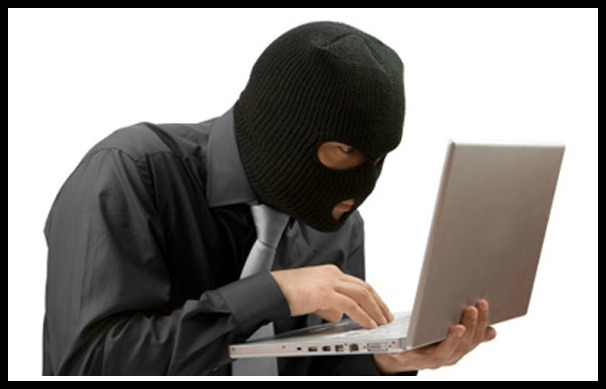 Sadly, many of the scams are still around — and still working. PS: Despite a few heated comments yesterday — by people who resented being asked to give $1 to help the victim of an email hacking scan — “06880” readers responded generously. As of 9 this morning, they’d donated over $3,000 toward the $6,200 goal. When I grew up in Cleveland, my parents regularly brought out the familiar Scrabble set — 100 letter tiles in a bag — as a family activity. But competitive Scrabble is a different world, and around here, Cornelia Guest is the doorway into it. 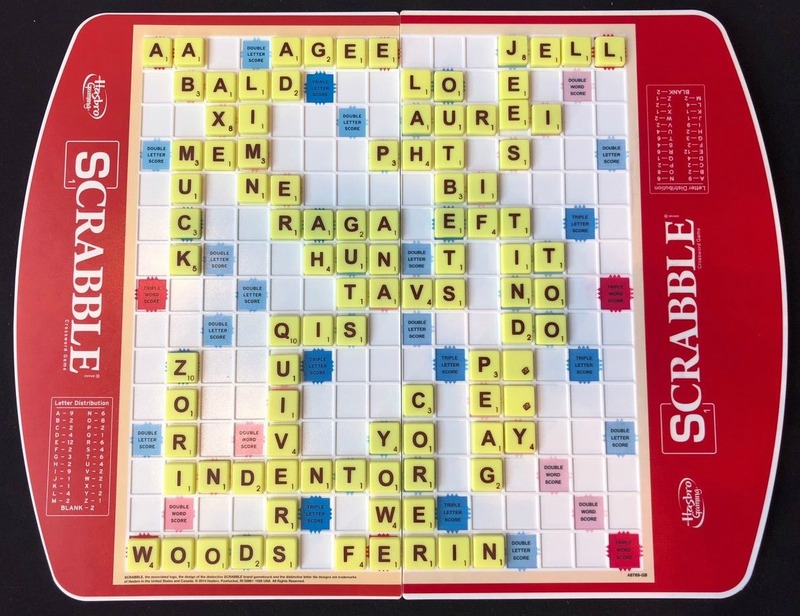 She’s a Scrabble champion in her own right, a real aficionado, and she runs a weekly Scrabble club at the Ridgefield library. Over the years, she’s cultivated a number of Scrabble champions. Jeffrey met him online, via Skype. The video didn’t work for the first month or so, so Jeffrey never knew what his partner looked like. But they screen-shared, and played online games of Scrabble a couple of times a week. Jeffrey Pogue (right) and Noah Slatkoff. 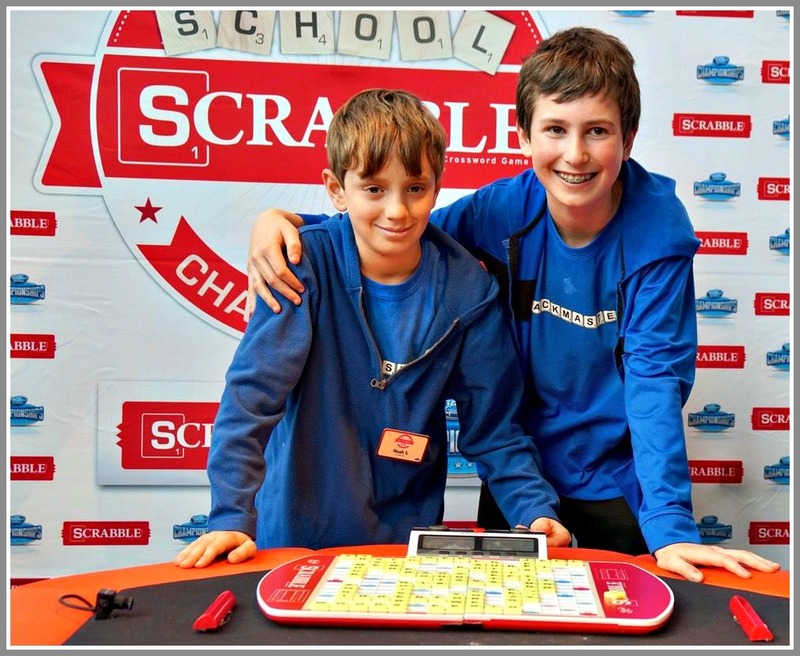 Incredibly (to me), the 2 boys never met in person until they arrived at the Championship in Philly past this weekend. It’s an unbelievable event. 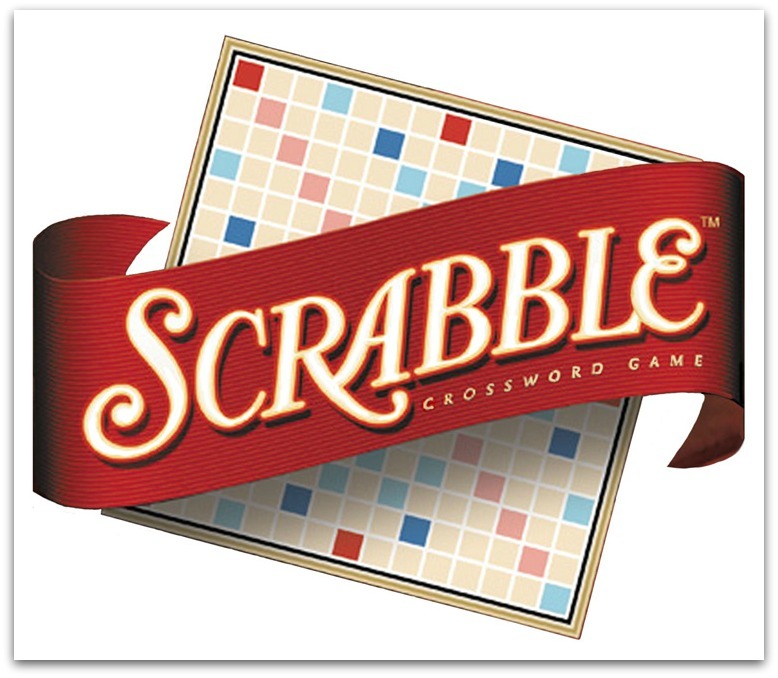 Hasbro runs it (the ulterior motive is probably to foster a new generation of Scrabble fans). But it’s warm, well-run, and spirited. It feels like a friendly sort of nerd Olympics. Hanging out at the North American Championship. The event was held at Lincoln Field, where the Eagles play. Not on the field itself (Scrabble isn’t that popular), but on the mezzanine areas inside the stadium. Huge banks of tables are set up with Scrabble boards, score sheets, and timing clocks. Family members sit in a different area, so we can’t watch the games. But during each of the 9 rounds, we can watch one particular game — the matchup of 2 current leaders, for example — on big screens mounted through the area. There’s an overhead camera for the board, a manned TV camera trained on the players, and sneaky little surface cameras to show the players’ Scrabble racks. Jeffrey and Noah in mid-match. Note the chyron at the bottom of the screen. Professional commentators deliver play-by-play, just like on ESPN. It’s amazing. “Oooooh, that’s a brilliant play! They managed to dump those extra vowels, and landed on the triple-word score square. Now the Scrabbula team is at a huge disadvantage. The only question is, will they realize that ‘outgets’ is not actually in the Scrabble dictionary? Will they challenge?” And so on. By the end of the first day, the Rackmasters — the Jeffrey-Noah team — had won all 6 of their matches. Undefeated! We, their parents, were freaking out. As Day 1 ends, Hasbro throws a huge party for the competitors and their families: face painting, a DJ, dancing, sketch artists, giant Jenga towers, Nerf football toss, food for all the competitors. Suddenly the competition is forgotten, and they’re all just kids. It’s kind of awesome. On Day 2, Sunday, there are 2 more matches. Each new opponent is tougher than the one before. The Rackmasters had won Game 6 by only 27 points. It seemed improbable that our boys could sustain their incredible momentum. But sure enough they won Game 7, and then Game 8, guaranteeing a slot in the final playoff. This final game pairs the top 2 teams. It’s winner take all. Doesn’t matter what your record is from the weekend so far; whoever wins this game wins the $10,000 first prize. The tournament is livestreamed online, so Jeffrey and Noah’s far-flung relatives and friends all tuned in to watch. 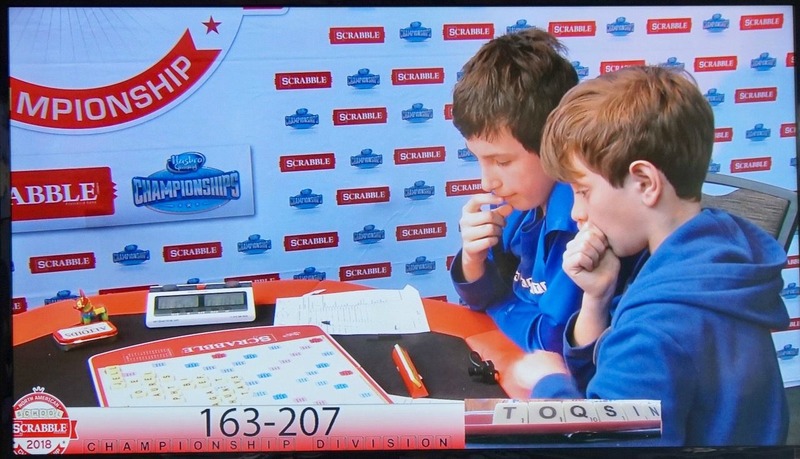 These kids are so advanced, you probably wouldn’t even recognize half of what they played as words. Aurei? Tavs? Agee? Ferin? Zori? After 45 minutes of intellectual battle, the Rackmasters played their last tile, signifying the end of the game. Jeffrey and Noah’s final board. How many of these words do you know? Who knows? 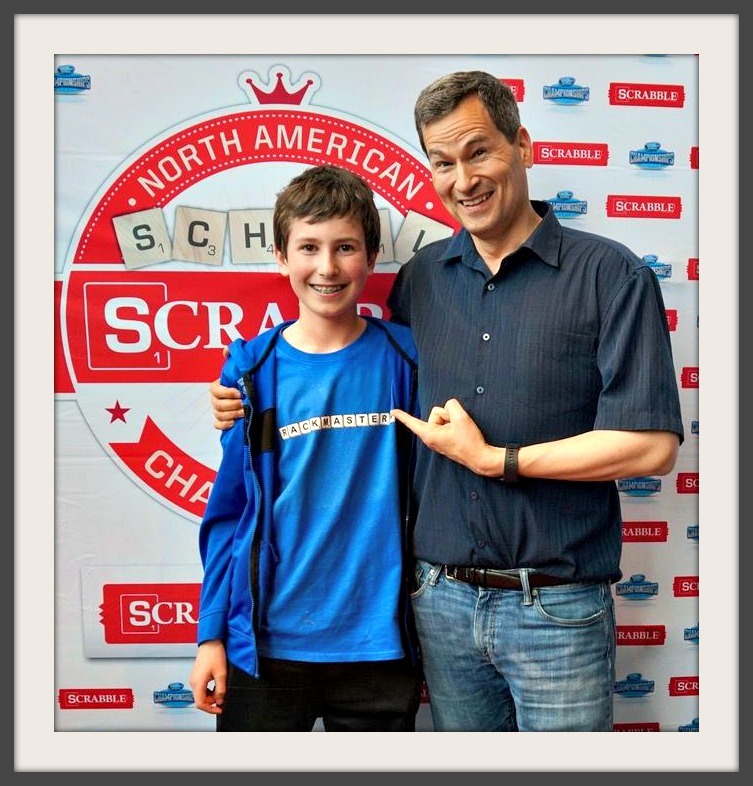 Maybe one day soon, it could be your kid scoring 126 points for QUIXOTRY or MUZJIKS at the North American Scrabble Championship. Jeffrey Pogue and his proud dad, David. 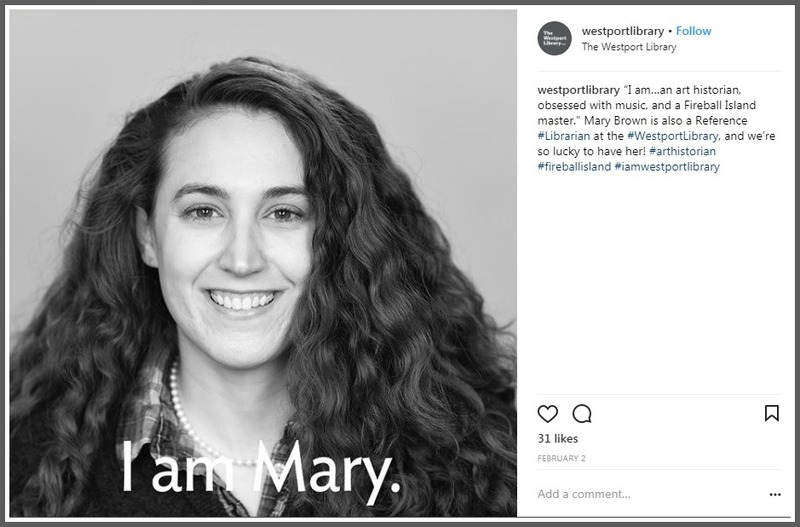 “I Am …” The Westport Library Photo Campaign. Are You? In the summer of 2016, over 500 people had their “geek moment” at the Westport Library. Talented family and portrait photographer Pam Einarsen snapped them, as they held or wore objects identifying their particular passions. The “I Geek…” project portrayed an astonishing array of talents and interests, all of which the library encourages and helps us fulfill. 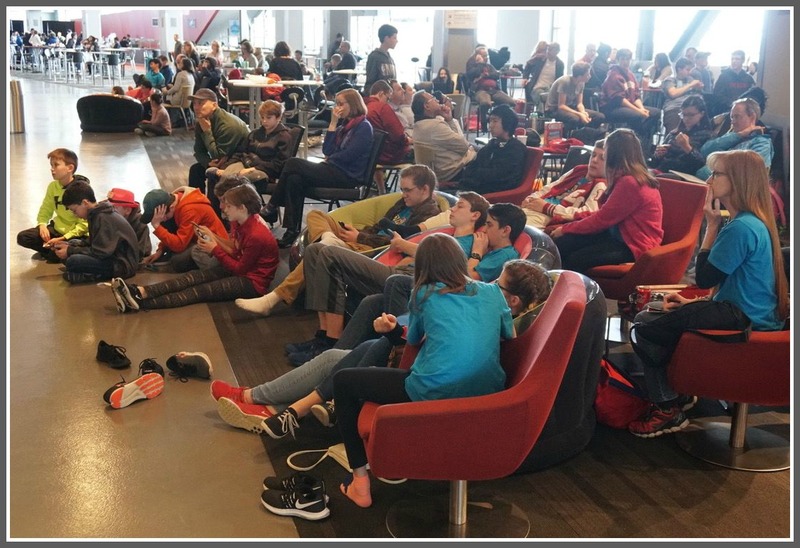 Among our geeks: human biology, burgundy, Harry Potter, Greek Islands, Toquet Hall, astronomy, break dancing, coffee, archery, knitting, astronomy, the Green Bay Packers, folk music, dragons, baking, and sleeping. It all ended with a big party. The Great Hall was filled with food, entertainment — and Pam’s compelling portraits. Now she’s at it again. This time, when library users sit for their photos, they’re asked for 3 descriptors. Pam’s images, and those self-identifying phrases, are then shared on the library’s Facebook, Twitter and Instagram pages. It’s part of the library’s goal — in the midst of its Transformation project — for folks to imagine how the library can help them, in entirely new ways. “What are you passionate about?” library director Bill Harmer says the “I Am…” campaign is asking. More photo sessions will be scheduled soon. Check the library website for details. To the rest of the world, David Pogue is a tech guru. 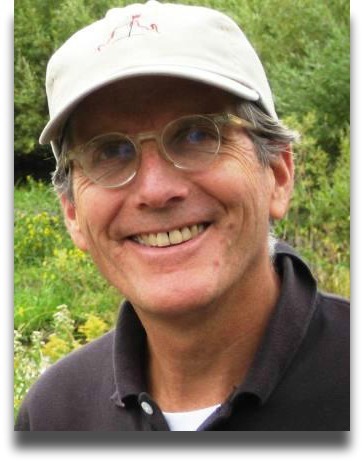 He’s a writer (Yahoo, New York Times, Scientific American), TV correspondent (“CBS News Sunday Morning,” PBS “Nova Science Now”) and author (“Missing Manual” series, “Pogue’s Basics”) who has won 3 Emmy awards, 2 Webbys and a Loeb for journalism. To Westporters, he’s a neighbor. Which means he worries about the same things you and I do: traffic. How his kids do in school. 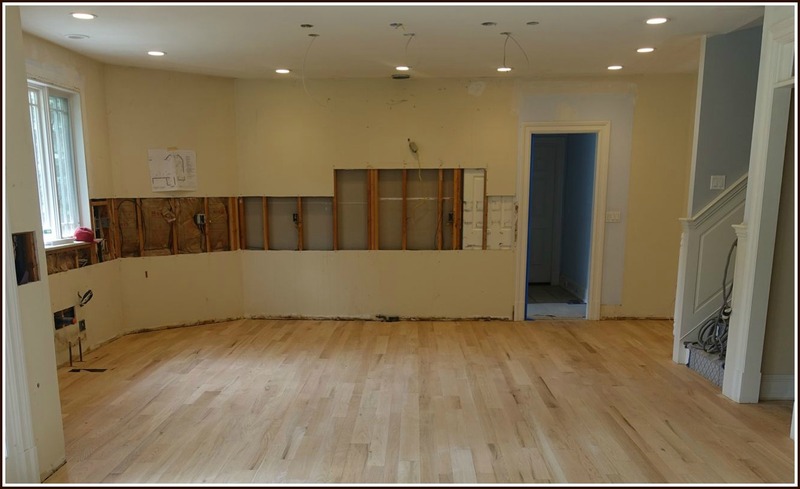 His kitchen renovation project. 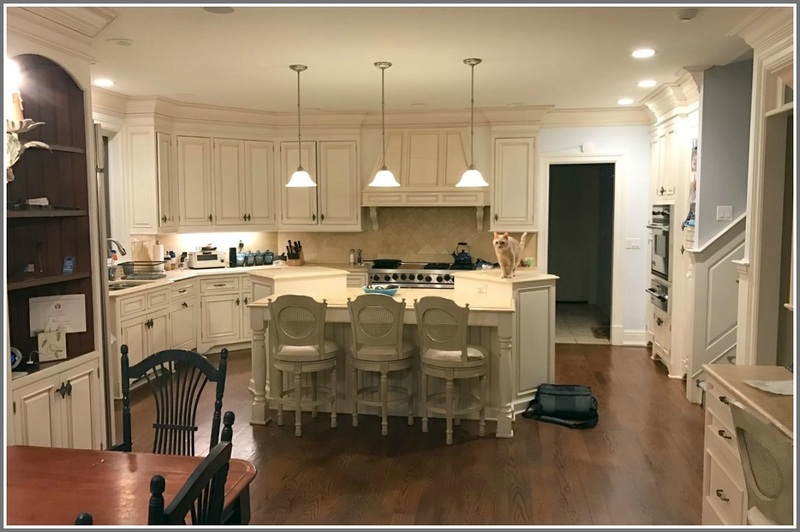 When we decided to renovate our aging kitchen, one of my greatest stresses was: What happens to the old kitchen? David Pogue’s kitchen, before renovation. But I’m here to tell you about an amazing alternative that I wish everybody knew: Renovation Angel. * They dismantle and haul away your old kitchen for free. You’re saved the cost of the demolition, disposal fees, dumpster rental, and so on. * They give you a huge tax deduction. * They then resell your entire kitchen, both online and at their huge showroom in New Jersey. All of it: cabinets, countertops, appliances, lights, chairs —whatever you can part with. Other people who are renovating their kitchens get luxury stuff for a fraction of its usual price. * The best part: Renovation Angel then gives the proceeds to charity. They donate to programs for addiction recovery, at-risk children, job training, and social entrepreneurship. 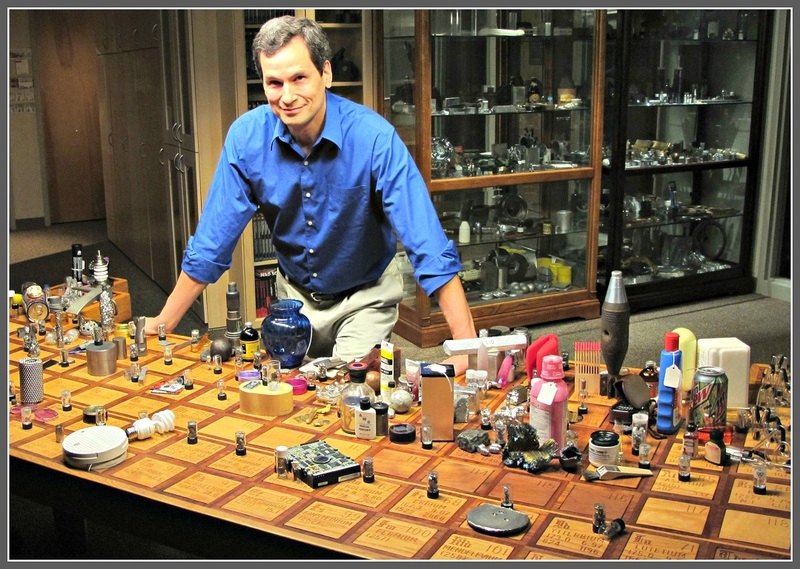 David Pogue, wondering how to renovate his kitchen and help the world. To me, this seemed like a win-win-win-win-win. You win (free demo and the tax writeoff); the planet wins (nothing thrown away); your kitchen’s buyer wins (saves a fortune); Renovation Angel wins (employs 135 people); and, of course, the charities win. I decided to try it. I sent them photos; they sent a guy out to measure. They asked when we wanted them to show up, and recommended that we have the water and gas disconnected when they arrived. That was it. Oh — except for the part where they said that our nearly 20-year-old kitchen would earn us a $40,000 tax deduction! Unbelievable. 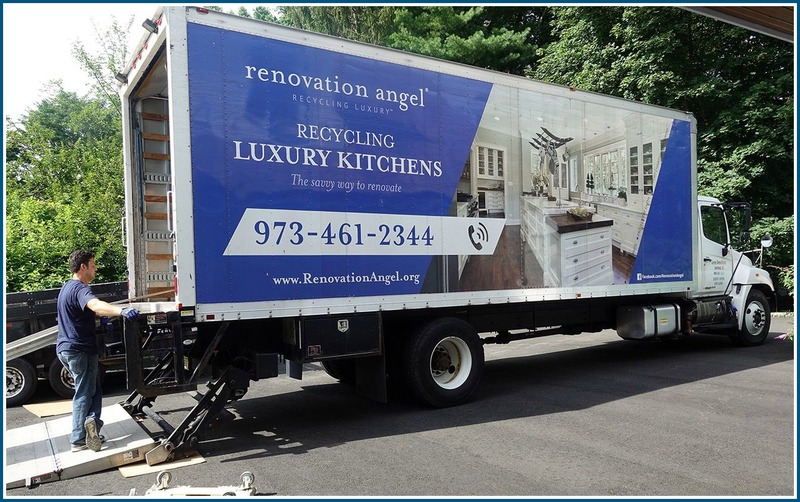 Renovation Angel is the brainchild of Steve Feldman, who credits a drug addiction recovery program with saving his life when he was a teenager. 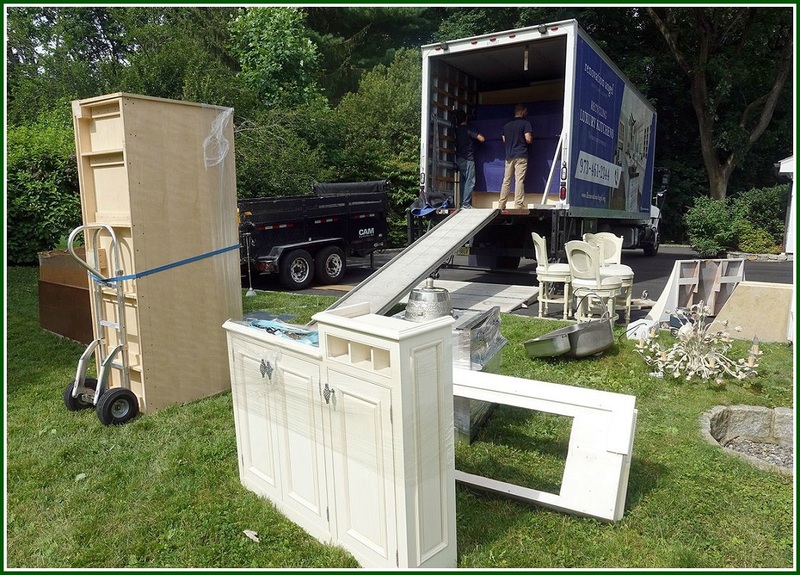 About 12 years ago, he saw a 10,000-square-foot house in Greenwich being demolished — and watched all the fine marble, custom cabinetry and expensive appliances get tossed into a dumpster. That was the inspiration for Renovation Angel. Now, a dozen years later, he’s recycled 5,000 kitchens, donated $2.2 million to charity, and kept 30 million pounds of stuff out of landfills. The experience for us was joyous, effortless and thrilling — not words you usually associate with home renovation. Seems like Westport is a national hub of nice kitchens and kitchen renovation. So I can’t help myself in trying to spread the word! As I said, David Pogue may be world famous, but he has typical Westport/1st world problems. Like, how will he and his family eat while their new kitchen is being installed? One man revitalized downtown Westport with a building project. 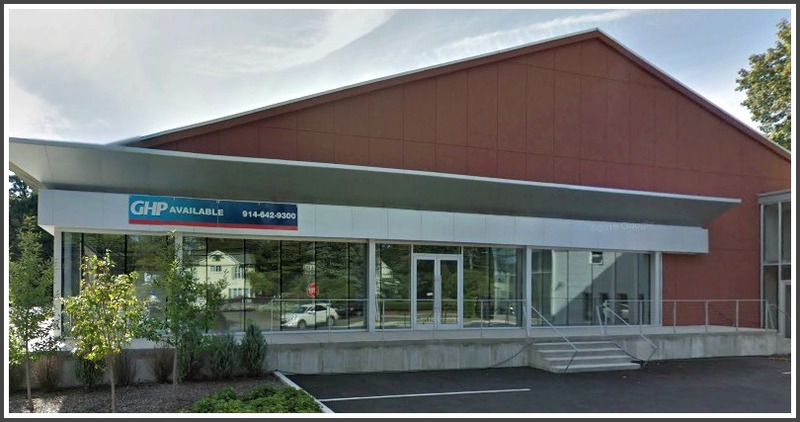 The other revitalizes lives, providing homeless people with buildings to sleep in. Both men — David Waldman and Jeff Wieser — will be honored as “First Citizens.” The Westport Weston Chamber of Commerce presents the awards on Tuesday, June 13, at a dinner at the Boathouse restaurant. Waldman is principal of David Adam Realty. Under his leadership, Bedford Square — the former Westport YMCA — has been transformed into a lively retail/restaurant/residential complex. That’s just the latest achievement in Waldman’s 26-year commercial real estate career. 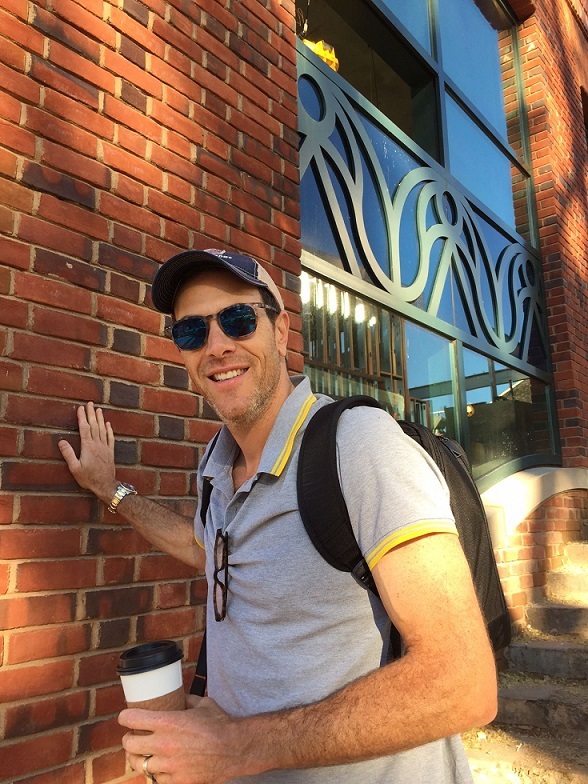 David Waldman proudly shows off the Flemish brick used in Bedford Square. A near-native, he arrived here in town age 1. His father — a marketer — moved here because Westport was “the marketing capital of the world.” He built buildings to house his business. He sold the company, kept the buildings, and a real estate firm was born. David attended Coleytown Elementary and Junior High. He graduated from St. Luke’s and Syracuse University, then returned to Westport in 1991 — just in time for a real estate downturn. David Waldman (center), at the opening of Bedford Square. Now he’s turning his attention to nearby Sconset Square, and the former Save the Children site across the river. Waldman’s fellow First Citizen honoree Wieser represents the non-profit sector. In 7 years as CEO and president of Homes With Home — Westport’s supportive housing umbrella — he has nearly doubled the number of beds, added new services, and engineered a merger with Project Return (the North Compo residence for teenage girls and young women). Homes With Hope is believed to be one of only 4 such organizations in a town like Westport in the nation. This is Wieser’s 2nd career. A New York banker with stints in Australia and Hong Kong, he and his wife Pat moved here in 1985. Their choice of Westport was happenstance — they just wanted a “commutable suburb” (a town-owned golf course and beaches were added attractions) — but it soon became home. With 2 young children, the Wiesers quickly met lifelong friends. Wieser served on the Homes With Hope board for 15 years. He had not thought of working there. But when founder Rev. Peter Powell retired, and several people asked Wieser to step up, he realized that after 30-plus years in banking, he was ready. She was right. “It’s been a wonderful change,” he says. Wieser is proud that his organization has been supported so well — and so long — by town officials and private citizens. 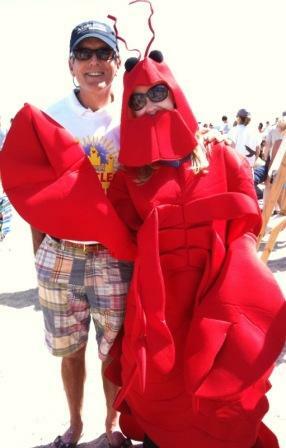 Jeff Wieser (Homes With Hope CEO) and a lobster. The event was a “build a sand castle” fundraiser for Homes With Hope. Waldman and Wieser are not the only 2 Westporters to be honored by the Chamber of Commerce. “Young Entrepreneurs” Aishah Avdiu, Remy Glick, James O’Brien and Phoebe Spears — from Staples and Weston High Schools — will be feted too. Westporter David Pogue — technology columnist/Emmy-winning TV personality/author/musician/New York Times, CBS News, Scientific American, Yahoo Tech and PBS star — is the keynote speaker. We can’t all be First Citizens. But it’s clear — and the Chamber of Commerce recognizes — that Westport is blessed with far more than one. In his books and columns, through his videos and with his talks, David Pogue teaches all of us how to navigate the world. He seems to know everything, about everything. 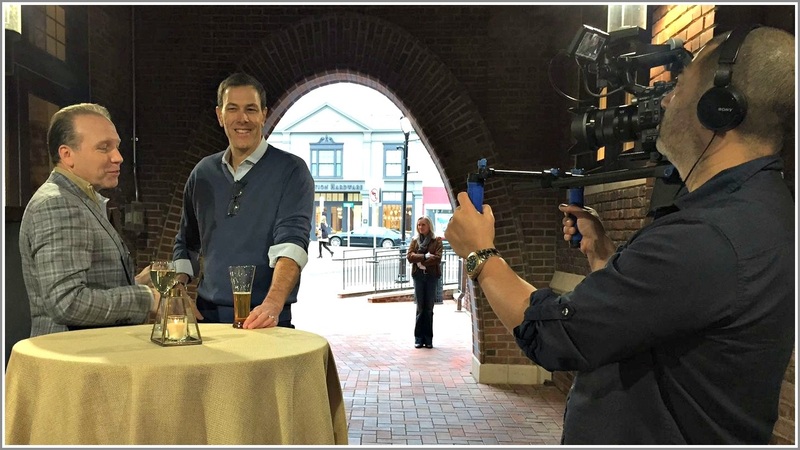 I love the PBS science show “NOVA,” and not just because I’ve served as its host in 16 episodes. For 2 years “NOVA” has been planning a new, educational, entertaining, 2-hour special called “Beyond The Elements,” which I’ll host. The plan is to ask the public to help fund it, through Kickstarter. This is historic: a public TV show seeking help directly from the public! In the middle of gearing up for this quest, current events suddenly overtook us. Both science and public broadcasting are under political attack. Our leaders have expressed a desire to de-fund both. These trends break my heart. I truly don’t understand the anti-science movement. When it comes to solving the world’s problems — from dropped cellphone calls and stuttering Netflix, all the way up to climate change, feeding the population and fighting epidemics—science is all we got. My guess is that rapid advances are tapping into something primal in us: fear of the unknown. We no longer understand our world — our car engines, our televisions, our phones, our medical treatments — and it’s terrifying. That’s what gets me up in the morning (early!) on “NOVA” shoot days. Once someone takes the time to explain these concepts, they won’t seem unfamiliar — and therefore won’t be frightening. Which brings me back to our Kickstarter campaign. The new show is a sequel to one I hosted in 2012 (“Hunting the Elements”), which has been watched over 10 million times. It’s become a teaching tool in thousands of public school classrooms (including Staples)! I know that many Westporters are concerned about the direction of the country. I truly believe that a contribution toward this “NOVA” campaign is a gesture of support for both science and public broadcasting. If we’re successful, it will send a message that we, the people, can take matters into our own hands. With Kickstarter, we have 30 days to raise the money. If we reach our goal, then we make the show. If we don’t, no money is collected; it’s as though the whole thing never happened. The donation is partly tax-deductible. It comes with various “rewards,” ranging from a T-shirt to lunch with me (though I’m not sure if that’s a reward or a punishment). I hope “06880” readers will pitch in to our campaign, or at least watch the pitch video here. David Pogue can’t believe that Westporters still pay to get flat tires repaired. Town Fair and other chains fix flats for free — it generates goodwill. Pogue notes too that our new Starbucks — like the other squintillion of them — offers unlimited 50-cent refills of coffee or tea (hot or iced). Also worth noting: The smallest Starbucks serving is called the Tall. But an even smaller one does not appear on the menu: the Short. It’s less expensive, of course — and perfect for a little zap of something. It even contains the same amount of espresso as a Tall. 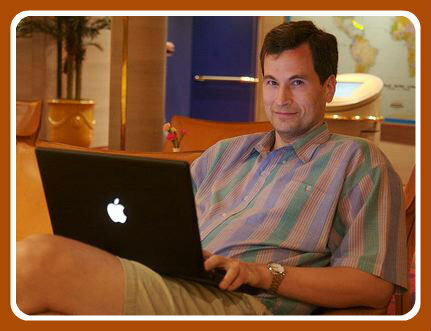 David Pogue, thinking of ways to save money. Pogue is astonished that Americans leave money on the table every day. And we do it every time we use cash machines, book flights, buy insurance or shop for clothes. Because Pogue is such a good guy — as well as a clever person, and excellent writer — he’s sharing 150 tips for saving money. They’re collected in his latest book: Pogue’s Basics: Money. You can get 5 percent off anything you ever buy on Amazon. Just sign up for the Amazon Prime Store Card, a virtual credit card good only for Amazon shopping. There’s no fee — and no downside. If you have a gift card for a store you’ll never visit, sell it to Cardcash.com or Raise.com. They pay cash for gift cards — maybe 75% of face value. Why rent your cable box for $235 a year? You can buy one for $100. That sticker on your windshield says to change your oil every 3,000 miles. Modern cars require oil changes only every 7500 to 10,000 miles. The manual even says so. 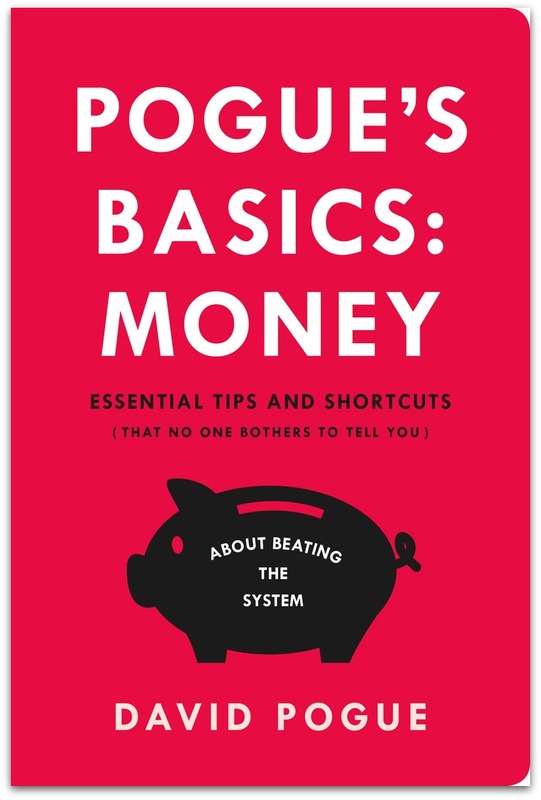 His Basic Money book saves time and money, handing you 150 secrets all in one place. If you use all 150 of them, he says, you’ll save $61,195 a year! You’d think Pogue has given away enough. But here’s a special “06880” offer: free autographs. Our neighbor will personally inscribe any copy of the book. It’s at Barnes & Noble (or you can get 5% off by using the Amazon Prime Store Card online). Email pogue@me.com to arrange an autograph session. Thanks, David! Here’s to a merry — and frugal — holiday for us all!